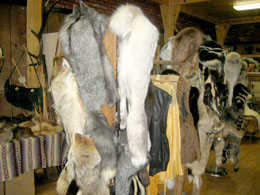 Motorcycle Accessories - Sheepskin saddle covers - excellent for horses or hogs! To measure for the correct size of you new fur hat, use a soft tape measure and measure around the largest part of the head, just above the eye brows and all the way around the head. 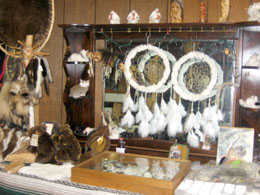 All pelts used at Wildthings Fur are legally taken under regulated management which promotes constant healthy populations of wildlife. Please phone if you have any questions. We do custom orders - retail and wholesale. Our fur or yours. Tanning and Sewing labor prices available upon request. Please feel free to call us today if you have any questions, or simply shop at our extensive online storefront to order that perfect Wildthings Fur product today! 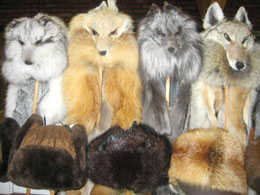 Page Summary: Wildthings Fur provides fur coats, fur hats, fur mittens, fur clothes, fur accessories, fur motorcycle apparel, fox fur, lynx fur, raccoon fur, mink fur, polar fleece fabric, rabbit fur and more for La Crosse, Onalaska, Sparta, Tomah, Holmen, Prairie Du Chien, Richland Center, West Salem, Viroqua, Westby, Bangor, Hillsboro, Lone Rock, Stoddard, La Farge and surrounding Vernon County Wisconsin communities.